What's the Most Desperate Way You've Come Up With Money in the Name of Cars? It’s basically a law of human nature that we’re going to crave the things we can’t have. 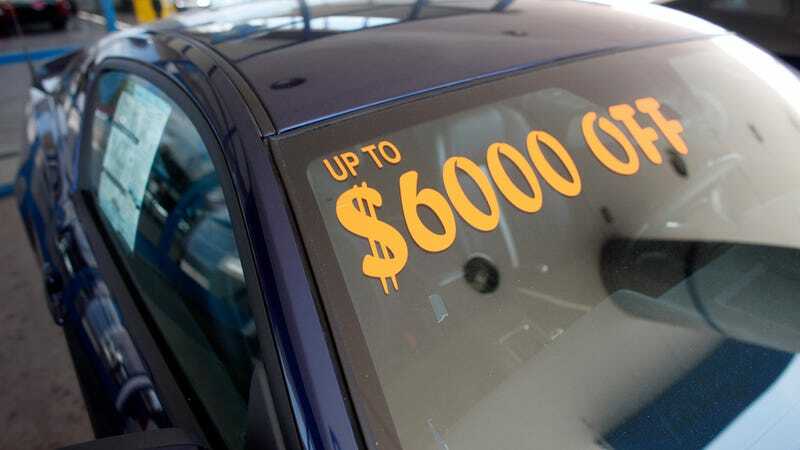 But what sets car fanatics apart from the regular folk is the fact that car fanatics can—and will—go to desperate measures to save up or make the money for their newest automotive purchase. I know you’re out there. I myself have never done anything wild to drum up money for a car (I am, in fact, a chronic money saver because I just know that one day I’ll find the most absurd classic car on Craigslist that suits every single one of my very specific needs, and then I will have the money to spend when the moment strikes). However, a lot—hell, if not most of the car enthusiasts I know in real life operate a little differently. Take my wonderful husband, for example, who needed an engine crane to pick up work again on his beloved Ford Fairmont. He spent the entire weekend combing through his house, collecting change from forgotten couch cushions and dollar bills from wayward birthday cards. And when I say “entire weekend”, I mean an obsessive entire weekend. The man turned his life upside down to rattle a few coins out of the dustiest corners of his room. The payoff? Somehow, a whopping $400 in change that he took to the bank, converted to bills, and used to buy that engine crane. Or, take my brother, who has had more cars in the past two years than I’ve had hair colors (i.e. a lot). His most recent purchase was a Plymouth Scamp, which he got by swapping the seller a few hundred dollars and a time- and labor-intensive restoration of a motorcycle that he picked up off the side of the road. The man spent more time getting the bike to work than he would have just working for the money—but the seller really wanted the bike, and such is the call of the auto enthusiast. So, Jalops—what’s the wildest thing you’ve done to hunt down the money for your automotive projects? And what project was so damn important that it transcended the conventions of monetary acquisition for something so strange you wouldn’t do it for anything else in your life? What&apos;s the Most Infuriating Thing People Do on the Road? What&apos;s The Best Fun Cheap 2000s Car That Nobody Thinks About?